Hardtop XP is a high volume solids, glossy two-pack polyurethane topcoat with excellent gloss and colour retention. It is available in virtually any colour where a durable weather resistant finish is required in aggressive atmospheric temperatures. Hardtop XP is designed more for application by brush or roller, but can also be applied by air spray or high pressure airless spray with excellent results. 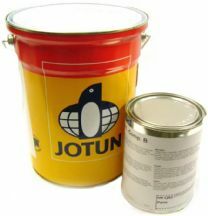 Hardtop AX is a two-pack glossy polyurethane topcoat with excellent gloss and colour retention. It is suitable for brush/roll as well as spray application. Hardtop AX has good chemical resistance and can be used in aggressive atmospheric environments. Hardtop AX can be brushed or rolled and gives a glossy, durable finish. 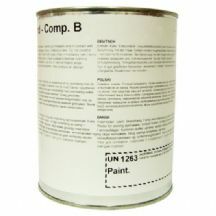 It offers high sag resistance, low level of spray dust, low odour and a consistent gloss. Hardtop AX has much better abrasion and chemical resistance that Hardtop XP.